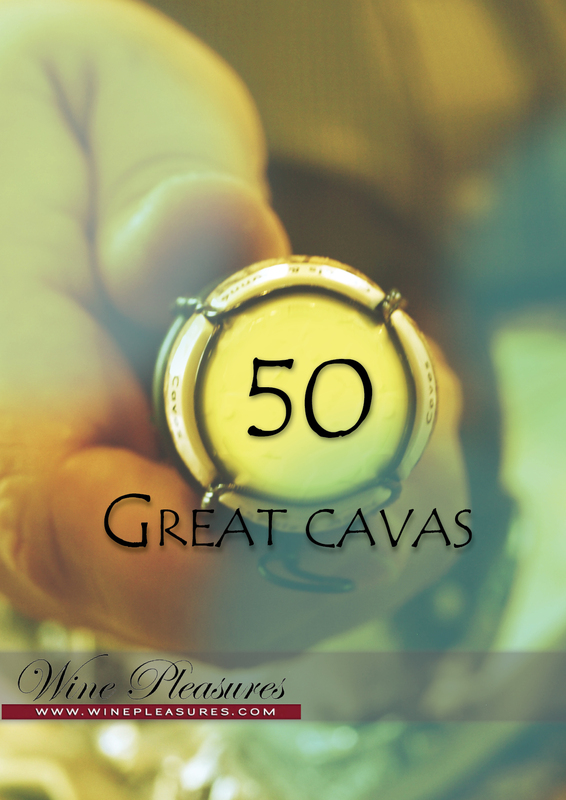 The 2012 edition of 50 Great Cavas e-book will be soon available to all the cava lovers (of course, being also an interesting and useful read for those who are just about to discover this amazing sparkling wine). The project, successfully introduced last summer, consists of carefully selecting the very best Spanish cavas and listing them, according to a 100 point evaluation system. The competing Cavas were sent in not only from all over the Penedes region (more than 95% of all cava is made here and incidentely the home of Wine Pleasures), but also from Valencia (Utiel-Requena), Extremadura and Alella, and, we must admit, the guests offered the home team quite a challenge. The tastings lasted two full days and the best cavas of each category (Rosados, Brut, Brut Reserva, Brut Reserva, Brut Nature, Brut Nature Reserva and Gran Reserva) were chosen. An international team of wine experts awarded points for all of the wines, as well as collected all the tasting notes describing the individual characteristics of each wine. The “50 Great Cavas” list is the result of their work, setting standards for quality cava, and the only available resource of this kind in English. The book, however, does not simply reflect the expert opinion, but also provides a general knowledge about making of cava and includes the descriptions of the wineries which produces the 50 great cavas. Most of the wineries we – the Wine Pleasures press crew- visited ourselves to witness the process of creating a great cava, to talk to the winemakers and to do the tastings, so we can let you know for sure which wineries are a must-see and… a must-taste. We hope you will enjoy the 50 Great Cavas as much as we did, and we wish you a beautiful journey through this little-explored part of the wine world.